Pinus nigra Arn. ssp. pallasiana (Lamb.) Holmboe (Anatolian black pine) is the second most widespread coniferous pine species in Turkey after the red pine. Mobile genetic elements are capable of jumping from their positions to others within the genome and constitute 15–90% of plant genomes. 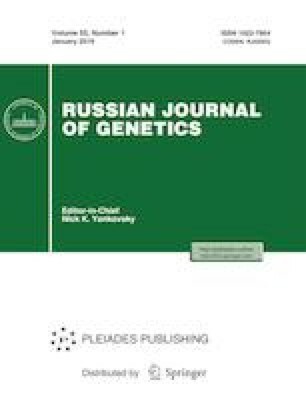 In this study, barley-specific BAGY2, Nikita and Sukkula retrotransposon movements were examined in the stems and needles of Anatolian endemic Pinus nigra ssp. pallasiana var. pyramidata and var. Seneriana. Moreover, multiple alignment analyses were also performed to observe the relationships among sequences found in angiosperms and gymnosperms. Polymorphisms were calculated as 0–11% for BAGY2, 0–56% for Nikita and 0–76% for Sukkula between stems and needles in var. pyramidata. There was no polymorphism in var. Seneriana. Homomorphic band profiles were observed among all needle samples in BAGY2, Nikita and Sukkula analyses both in var. pyramidata and var. Seneriana. Furthermore, we detected few similar sequences among retrotransposons identified in different plants. There is almost no research related to retrotransposons in Anatolian black pine’s endemic varieties. This is the first study to investigate the movements of barley-specific retrotransposons in Pinus nigra. Our results are expected to contribute knowledge about these endemic plants, and even the evolutionary relationships between angiosperms and gymnosperms.